Video 11: Baptism With The Holy Spirit. It is not enough that we “only” have been baptized in water. We also need to be baptized with the Holy Spirit, which is the promise of the new covenant. According to the Bible, there will always be a visible sign when one receive the Holy Spirit. In this lesson Torben Søndergaard speaks about this and how you can be baptized and baptize others with the Holy Spirit. An area where our traditions have led to many misunderstandings. Video 12: Led by the Holy Spirit. The Holy Spirit was an important part of the early church. It was Him who told them what they should do. It was Him who led them. With Him they experienced the power of God in their lives. You will love this lesson where Torben tells many powerful testimonies about how we today can be led by the Holy Spirit. 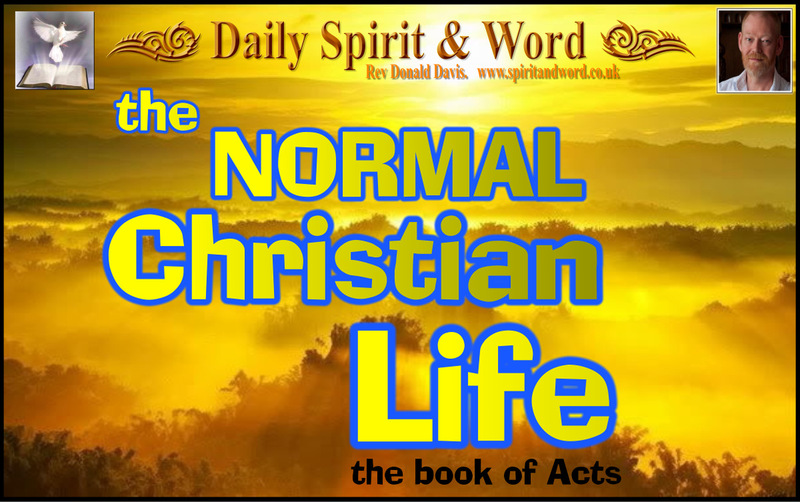 He also gives practical advice on how you can live the life we read about in the book of Acts. A life led by the Holy Spirit. Video 13: When You Fast. Fasting is a secret that many Christians have forgotten. Fasting helps to humble ourselves so that God can lift us up. Fasting breaks walls of fear and unbelief so we can live the life we read about in the books Acts. Listen to this exciting and practical lesson where Torben Søndergaard explains what the Bible says about fasting. He also tells many testimonies from his own life, about how it is to fast for 3, 20 or 40 days. Video 14: Is God Holy, Loving or Both? Welcome to this important teaching by Torben Søndergaard about God’s character. This is a necessary teaching that will provoke many, but at the same time help the church to know God as He really is. Video 15: New and Old Covenant: Incredible and Shocking. You will be shocked and your eyes will be opened through this great teaching that includes: New and Old Covenant, Grace, Jesus, sins against the Holy Ghost, etc. Video 16: Next Page: Page 4.